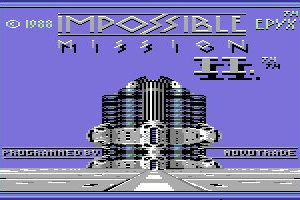 Impossible Mission II is a direct sequel to Epyx's 1984 game Impossible Mission. The game follows directly from the same plot, with Elvin Atombender seeking revenge, and the player having to stop him. The overall game structure and basic gameplay is mostly similar, but there are a few differences and new features. 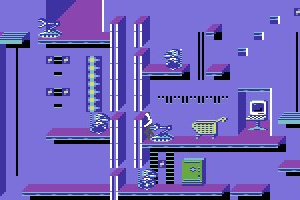 The game takes place in Elvin's fortress, which consists of nine towers. 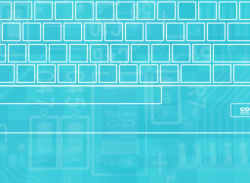 Each of the eight outer towers has a specific theme, such as computers, automobiles, furniture and so on. Each tower consists of several rooms connected by two vertical corridors with elevators and two horizontal corridors leading to other towers. 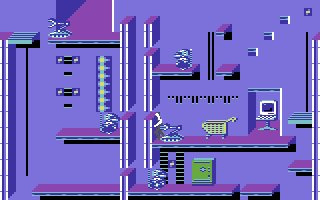 This time, the corridors leading between different towers are locked, and can only be unlocked by figuring out a numerical puzzle. Yay, IM I was already great, so I'm looking forward to this. My votes for the Sega CD, at least it had more than 2 great games on it. I would've said saturn, but that would've been both Unfair, and unlikely, since it saw more support in Japan than the US. I goota say though, most Atari games haven't aged well over the years, and aside from maybe one game, I don't think I'd buy anything from it's library. Too bad there are any exclusives at all, since it would be nice if all regions got the MSX and the C64( especially the C64). Edit: Did I mention how awesome this game looks? Even though it isn't quite as good as the original IM, it is still a damn fine game and keeps you on your toes with new strategies to figure out. Nice graphical improvements but won't be downloading as I could never beat the original (which I already downloaded). The prevailing memory I have of this game is the brilliant sampled scream when you die (something I did rather a lot in this game). 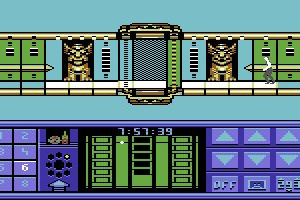 As with it's precursor, this game is ludicrously hard. 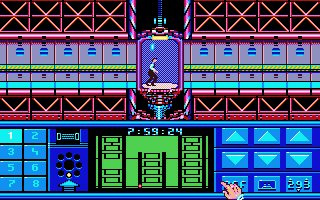 I was never a huge fan of the Mission Impossible games, but it's good to see such a seminal title being given a new lease of life. Sounds very decent but sadly i will have to pass with this since I found the original too hard. Then again puzzles arn't my cup of tea. 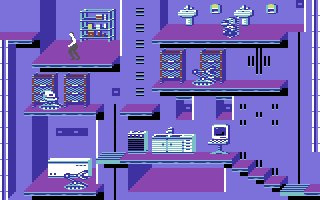 @Betagam7 - it's a touch easier to beat than the original because you don't need to search everything or beat every room, you just need the codes to exit each tower and get the music from the safe. lol If they made the Vectrex an NA VC exclusive, do you think they'd have the option to play with and/or without the color overlays? 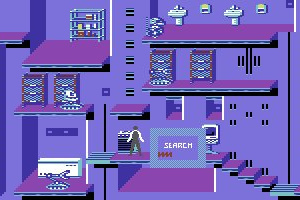 I vote NA get Apple ][ or Macintosh games! I vote no exclusives at all, it´s just stupid to give different games to different regions. I´m so envious about the MSX! 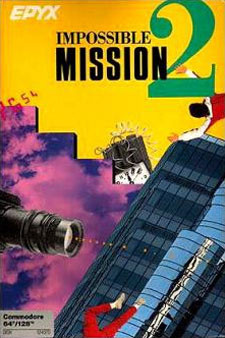 I enjoy Impossible Mission, so I´ll try the sequel some day. Something that just occurred to me while watching the video for IM2, assuming this is far enough back this seems like it might have been starting point for great action puzzle games that followed like Out of This World or Flashback: Quest for Identity. The game reminds me of Flashback for the Genesis, I guess it's another Prince of Persia game, looks fun. Karateka was the first game to use these kinds of realistic animations and physics, I believe. But, were there any prior to this that combined the life like movement and physics with an interactive puzzle solving environment? I can't think of any that predate Impossible Mission. 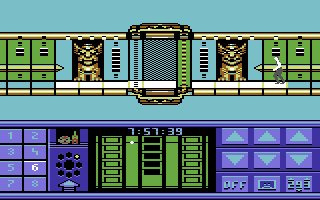 EPYX was almost always right on the edge of gaming for the C64. A lot of high quality offerings, as I recall. Good times. 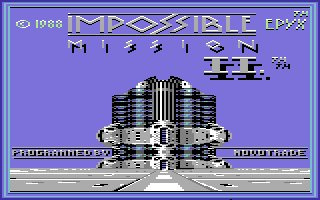 I have completed Impossible Mission 1, an awesome game for 1984!! It felt like a 1990ies game. I'm thinking about downloading IM2. I hope this gets released over here.